In an age where music streaming services tend to be the same, you might ask yourself why another service might be worth exploring? This guide will shed light on a relatively unknown music service that might answer your needs compared to another facility. This guide will explain what Microsoft Groove music is, what devices it works on, what are the unique advantages and disadvantages this service has, how to get the subscription for free, and if it is ultimately is worth switching too. 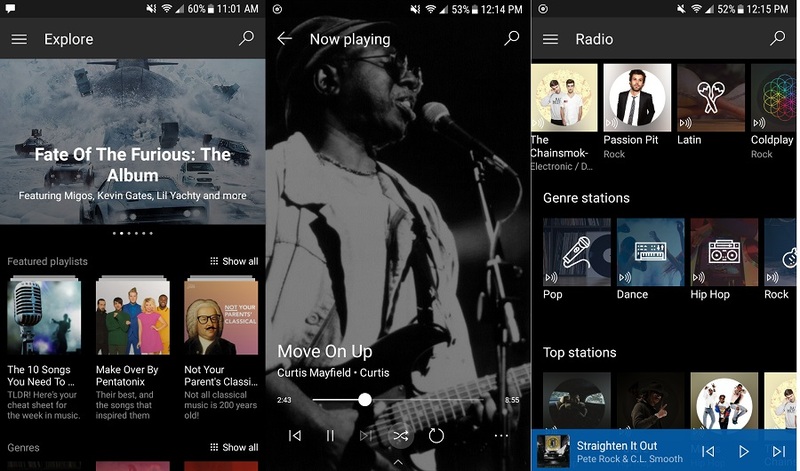 Microsoft Groove is a music streaming service owned by Microsoft. It has had a long history of name changes like Xbox Music and Zune, but now it has been rebranded to be called Groove with the Windows 10 launch. If you already have a Windows 10 device, you will have Groove automatically installed. To get started, I would recommend signing up for a free 30-day trial. Since this is a Microsoft program, you can use your login that you use for your Windows 10 login screen. The benefit of doing this is that the one login will then sync across all devices like tablets, Xbox’s, and phones. If you don’t have the app installed because you have a earlier version of windows (or you have a Mac), you can use the URL version to use Groove and listen to music. With this program working so close to Windows 10, you can import any music files that you have saved to OneDrive and play it on Groove. For this example, I have a song called “Yes” by LMFAO that initially came from my iTunes when I use to use this service. Since I bought this song in the past, I decided to save this song to my OneDrive after I chose not to use the Apple music service anymore. Since I kept this particular song to OneDrive, I can reach this within Groove. To listen to this song, for example, I can speak or type to Cortana to bring this song up. If you are familiar with Amazon Echo, it’s the same process. A command like “play yes,” or “play LMFAO,” will bring up the song in Groove even though it is somewhere in the cloud. 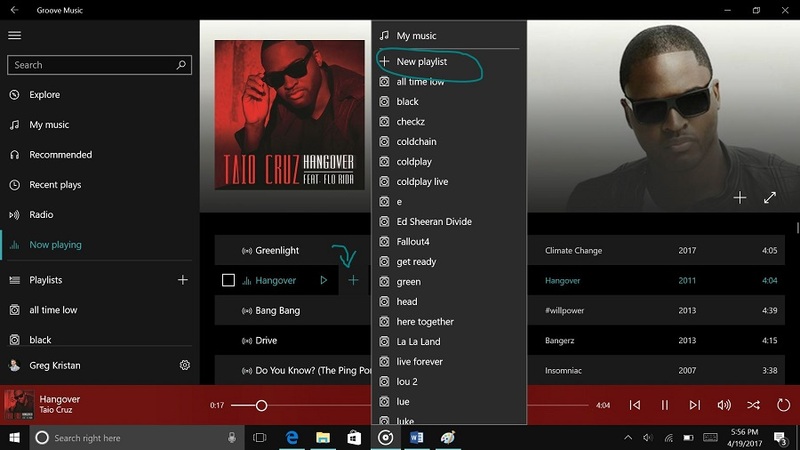 You can also play songs that are not on your OneDrive. For example, if I told Cortana to play “Pitbull Music,” it would bring up Pitbull’s channel in Groove and start playing. Just like an Amazon Echo, I can tell Cortana commands like “next track” to skip a song just by my voice. If you use Cortana a lot, you should check out a list of useful voice commands. Explore takes top tracks that are being streamed on Groove, new artists, and already made playlists that you can stream and download for offline use like party music, workout, study, and more. This is a good station to try because everything is already made for you and you can search by the mood that you are in. Radio takes the approach of you telling Groove that you like Selena Gomez music, so they will create a station that has music from Selena Gomez and similar artists. This is a great feature because it takes what a lot of people like from Pandora and allows you to find music you may or may not have hard. Once you have this music service paid for, you can skip and unlimited amount of songs. Finally you get to My Playlists. This is similar to things like Apple Music and Spotify where you can create your own music playlists. This is great for things like working out, playing Xbox, and really whatever you want. Once you start putting playlists on offline mode, you can listen to your favorite music without the worry of data usage. To add music to a playlist, you can click on the plus mark to any song and either create a new playlist, or add to a new playlist. From there, make sure that you go to your playlists on any of your devices to allow them to be played offline so you don’t use your data while you are not connected to the internet. Here is an example of me taking an album from Ed Sheeran and making all the songs available to listen to offline. As I mentioned before, I did this on my desktop version of Groove, but I will also have to click on this button on my android app to make that available offline as well. This is a unique feature that is found with this music service provider. You can use your OneDrive to have your music stored and have Groove look there to play music from it. Probably the biggest benefit in doing this is the amount of space that you have. If you are an Office 365 member, you are given one terabyte of storage, so definitely take advantage of this. Groove can be found on all mobile devices like iPhone, Android, and Windows phone. Most likely this won’t be automatically downloaded to your mobile device unless you had a Windows phone, so you have to go to the store for both platforms and search for Groove. Once you download it, use your Microsoft account login to sign into Groove so you can see all of your music and playlists from your other devices. In this example, I am going to show what the experience looks like on my Android phone. With the mobile app, you will notice that the experience is pretty much the same as desktop and Xbox One. However, I will admit that the app does not get updated as often as the other two devices, so I feel like the experience could be so much better. Some things that could be better are more control like changing the background from dark to light, better Cortana integration for playing songs, less confusing way to add new songs to existing playlists, and sometimes songs take a while to load if you don’t have the app running in the background all the time. At this time, I can’t speak for how the experience is on iPhones. However, I will leave two links for reviews of this app on both devices so you can read what others think. When Xbox One moved over to Windows 10, things like universal windows apps started to become a reality. One of those applications was Groove. While this was always on the Xbox, the music would shut off when you would move away from the app. The only way to play music was to snap the music to the side and have less real estate to play your game next to it. Now with the updates, you can go into this music service at anytime and play whatever you want. Then you can hop right back into your game and continue to play with the music in the background. If you don’t have the app anymore on Xbox, here is a guide on how to install it on Xbox. This guide will also breakdown all the controls on the Xbox controller to control your music. Starting at $9.99, you will see that it is the same as things like Apple Music and Spotify. 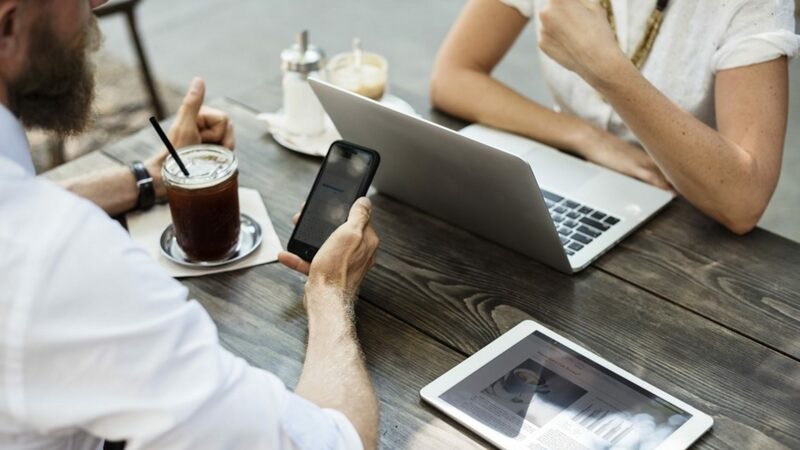 Just like those services, you can cross stream your music across all of your devices, play music offline, browse millions of songs, find created playlists, and more. 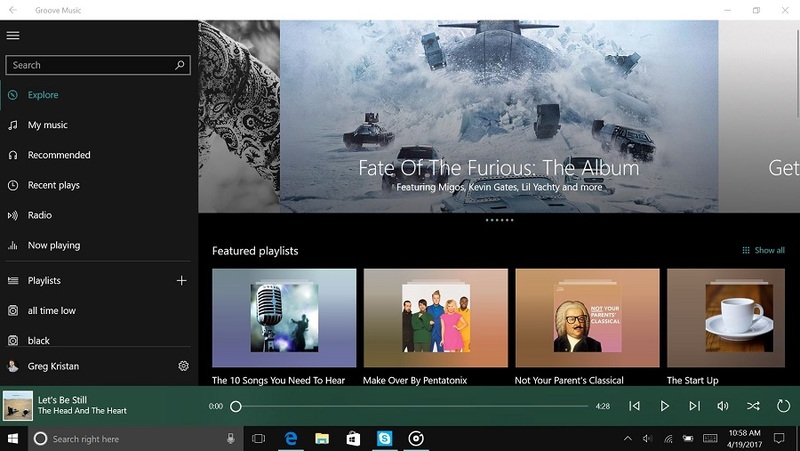 Microsoft Rewards members can enjoy their music for free. 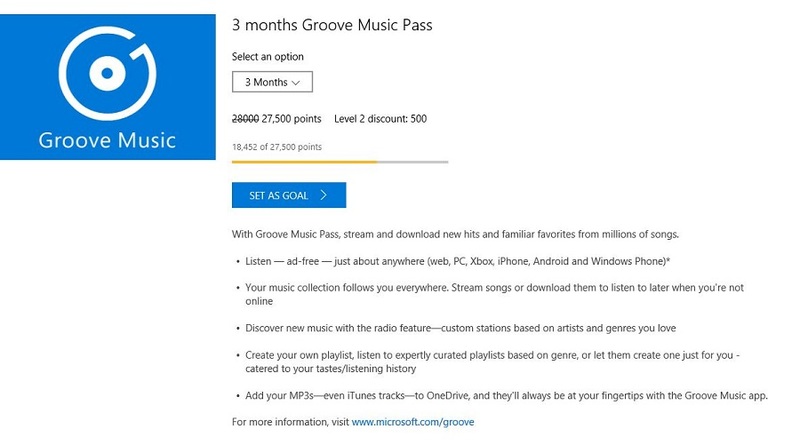 One of the options is to redeem your points for 1 month, 3 months, and now 12 months of groove. If you are hesitant about signing up, you can always try one of their free trials and cancel at anytime before your subscription runs out. This is a Windows 10 universal app, so that means that it works across all devices. One thing you can do with this on a desktop is resize it to any size you want. You will see that since it is universal, it will automatically resize for you. So it does not matter the size of the screen, this app will just work. You can also change the color of the theme. I chose black as my background, but you can also have a light background. At this time though, it will not sync to the mobile experience, so you are stuck with the dark theme there. That was what I was mentioning where the mobile app is behind the other device versions. You can also manage the devices that this will work on, import iTunes playlists with a click of a button, automatically download songs added to Groove music Pass, add album multimedia that can be missing, and more. I’ve written about Microsoft Rewards a bunch on this blog, but here is an example of me dropping a service like Spotify to join Groove because I get it for free with my points. I was already paying ten dollars a month, so price wise it was exactly the same. Since I get a lot of points searching through Bing, I redeem those for things like Groove music pass. Here is a screenshot of what the prize looks like. At this time, you can use a 1 month, 3 month, and a 12 month pass when you redeem your points. Finally, we have gotten to the end of this guide and it is time to explain if this is the right service for you. Here are my thoughts. The music choice that you choose should be based on what services you most use. If you are a Google fanatic, then you probably have a Pixel or Android phone and a Chrome Book. Sticking with the Google Play store makes sense to you since you are always signed in Google. Same story goes with Apple fans. If you have Microsoft services and devices for your life, Groove makes a lot of sense. If you have a mix in terms of devices and services, I would recommend Groove over things like Spotify and Pandora by a slight edge due to getting it for free. Since these services are around ten dollars a month and have the same music, you can get one that is free. While the mobile app on iPhone and Android is below par on the other music services, the free cause gives the slight advantage. There are a few reasons why this streaming service might be a great choice for you to listen and stream music. First, it comes automatically installed with Windows 10 PC’s, so you already have it. Second, it works across iPhones, Androids, and Windows Phones. 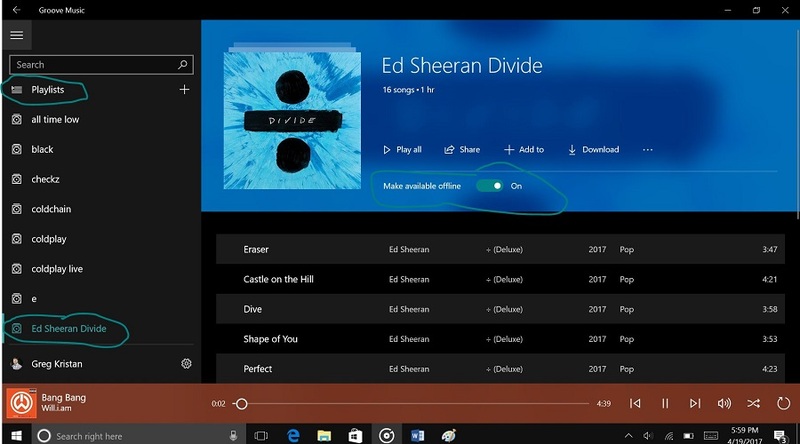 If you have an Xbox as well, Spotify at this time is not on the Xbox, so you are limited to Pandora which may or may not be the best option if you are looking for saved playlists and more control on your music. The last reason which could be the biggest reason I would recommend it is with the tie in with Microsoft Rewards. If you are already paying around ten dollars or more for music, you can save yourself about $120 dollars a year simply by searching with Bing every single month. I argue that if the service is comparable to the others and you can get it for free, then it is worth checking out at least. Why You Should Not Choose It? Going off the reasons listed to why you should choose it, I can make the same argument about why you don’t need it. 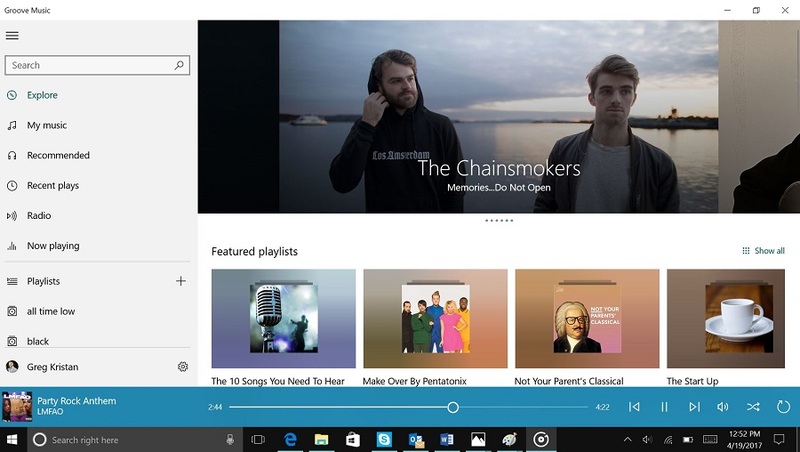 If you don’t have a Windows 10 device, you probably don’t need to use Groove. If you have an iPhone, Mac, apple tv, and more, you can get away with iTunes since it is all part of the same login and experience. Same goes with Amazon users and Google users.